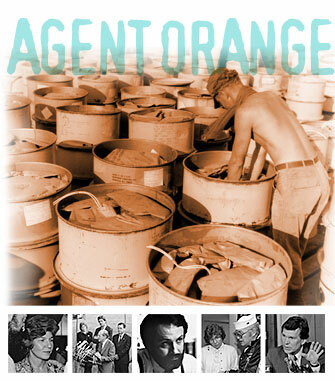 This issue of The VVA Veteran concentrates on several areas of science important to Vietnam veterans: In THE FIGHT FOR JUSTICE FOR VIETNAM VETERANS, former VVA President Mary Stout discusses the early years of Agent Orange activism when VVA alone fought for veterans affected by battlefield toxins. In AGENT ORANGE USE IN VIETNAM: DECADES OF DENIAL AND STONEWALLING, Paul Sutton provides essential information that every Vietnam veteran must know about Agent Orange and the other toxins used in-country. THE COMPLICATIONS OF DNA: MICROSCOPIC ROAD MAP TO MIA INDENTIFICATION. Loana Hoylman explains the DNA techniques used by DPAA in identifying MIA remains. She examines the science, its application, and its reliability. ONE STEP CLOSER: THE NATIONAL NATIVE AMERICAN VETERANS MEMORIAL. The Smithsonian’s National Museum of the American Indian has announced the five finalists chosen for the memorial, scheduled to be dedicated in 2020. LOST IN THE WEEDS: THE LIMITED RESEARCH ON MEDICAL MARIJUANA. With medical marijuana legal in more more than half of U.S. states, Tom Berger and Tom Hall separate fact from fiction in the debate over its use in treating PTSD. SCIENTIFIC FAKE NEWS: WHO TO BELIEVE. Maureen Elias warns of the necessity of researching the researchers in today’s climate, where corporations such as Monsanto set up “scientific” organizations to spread disinformation. PURSUING MORPHEUS: DRUGS, DREAMS, AND SLEEP DISORDERS AMONG VETERANS. Claudia Gary examines sleep disorders among veterans: their causes, possible cures, and the uneasy connection between drugs and sleep.